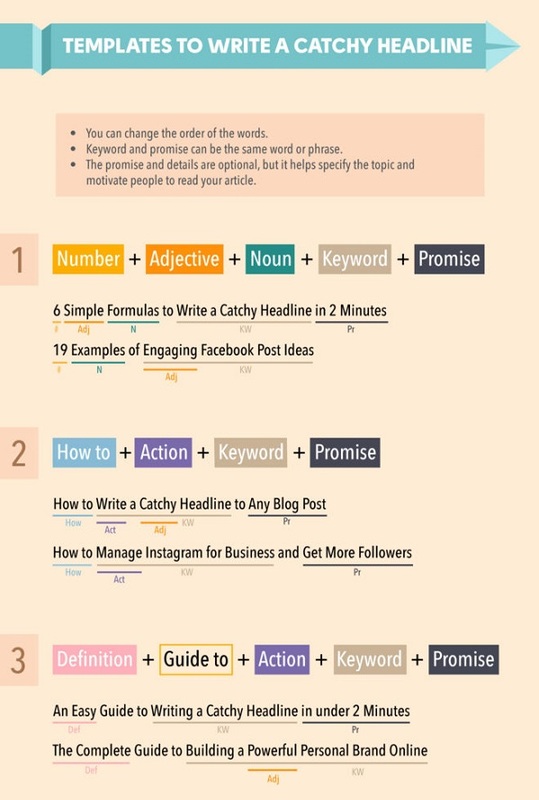 Created specifically for writers and social media managers, the following infographic by IntNetworkPlus teaches you how to write compelling headlines that will catch your readers’ attention. According to the infographic there are six simple templates which you can follow. You can always mix and match adjectives, numbers, verbs, and call-to-actions to create interesting titles that your readers will want to click.